Flowers are seen outside a home in Ajax, Ont., on Thursday, March 15, 2018. A woman or girl was killed roughly every 2½ days in Canada last year, according to an inaugural report that aims to paint a more nuanced picture of femicide and domestic homicide across the country. A year-end report, published on Wednesday by the Canadian Femicide Observatory for Justice and Accountability (CFOJA), puts faces and names to the 148 victims of 2018, the first time such data are available on a national scale. In the vast majority of cases, women were killed by an intimate partner or someone they knew. The highest rate of femicide was in Nunavut, followed by Yukon, New Brunswick and Manitoba. The lowest rate was in Quebec, followed by British Columbia and Nova Scotia. Indigenous women were drastically over-represented in the statistics. Although they represent only about 5 per cent of the population, they made up 36 per cent of the women and girls killed by violence. Women in rural and remote communities were also found to be particularly vulnerable. These findings came as no surprise to Myrna Dawson, executive director of the CFOJA. As a professor at the University of Guelph and head of the Centre for the Study of Social and Legal Responses to Violence, Prof. Dawson has long studied the realities of domestic violence and femicide, but watching it unfold in real-time has been jarring. The CFOJA was established in response to a call from the United Nations for better tracking of gender-related killings of women. While these statistics would normally be depersonalized, it was important to Prof. Dawson and her team to highlight the names and faces of these victims. “They’re more than a number,” she said. While past research in this area has focused primarily on the factors leading up to domestic homicides, Prof. Dawson argues that looking at the responses to these crimes – both socially and by the state – will also play a key role in prevention. As these cases move through the courts, the researchers will follow the crimes, including media coverage, judicial decisions and government action. According to the data – which are compiled through police press releases and news reports – women were most commonly killed in 2018 by shootings (34 per cent), followed by stabbings (28 per cent) and beatings (24 per cent). In cases where an accused killer was identified, more than 90 per cent were male. Sixteen died by suicide. Roughly 53 per cent of the women were allegedly killed by an intimate partner. Thirteen per cent were killed by another family member. Another 21 per cent were killed by strangers. 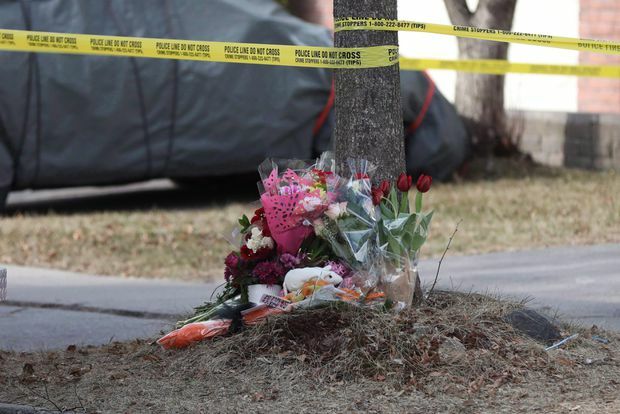 The most high-profile case of a stranger killing in 2018 was the April 23 van attack in Toronto, in which accused killer Alek Minassian allegedly plowed down pedestrians on one of the busiest streets in the city, killing 10 people (eight of them women) and wounding many others. Prof. Dawson said that while that incident was horrific, it also led to much-needed discussions about misogyny. Mr. Minassian, who is charged with 10 counts of first-degree murder in the attack, had allegedly posted on social media about the “incel” movement – a women-hating collective of “involuntarily celibate” men who embrace a misogynist ideology. Although this single attack accounted for roughly 5 per cent of all femicides last year, the report also underscored long-standing trends. In Nunavut, four women were killed in 2018, a small number but a staggering rate (21.85), considering the territory’s small population. 50,000; urban 50,000 or more residents. Labrador, Northwest Territories or Prince Edward Island. urban 50,000 or more residents. Northwest Territories or Prince Edward Island.